Calling all Horse Lovers! 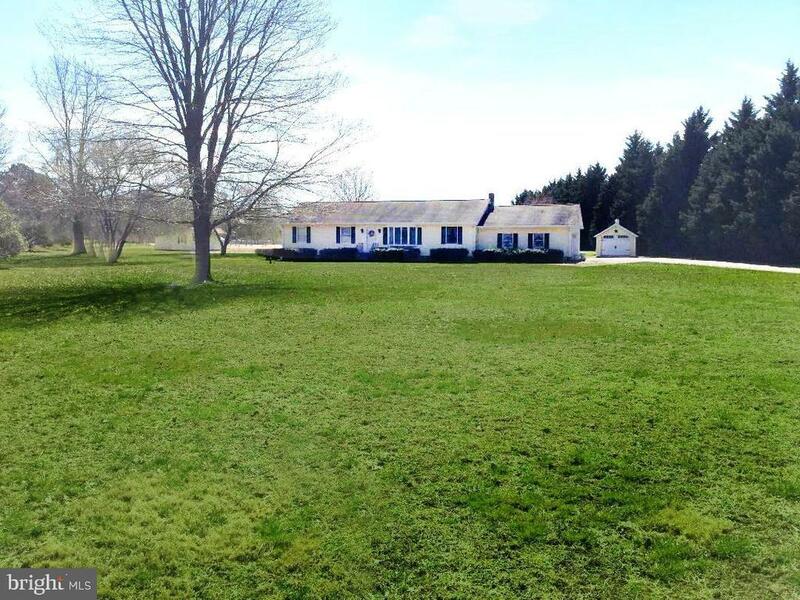 Sited on 6 Acres with 2 10x10 horse stalls(needs divider put back up) and tack room! One level living with this well maintained Rancher. Updated Master Bath! Open kitchen and dining room with slider to Screened In Porch overseeing the sprawling lawn! Two car garage with one side being used as workshop with AC! No homeowners association so you can bring all of your toys (boats, trailers, golf cart, motor home, trampoline...!! Huge Newer Shed. 20 minutes to the Bay Bridge or to Kent Narrows boat launch!